Thanks for visiting North County Ford, your Vista Ford dealer. It’s our pleasure to assist our customers from all over the San Marcos area. At North County Ford, developing relationships with our customers is important to us. We’re the leader in the area, with a wide array of new and used Ford cars, crossovers, SUVs, trucks and minivans. If you’ve been looking for a Ford dealer in Vista, San Marcos, Carlsbad or nearby that offers an unbeatable selection, low prices and friendly service, visit North County Ford. Customer service is our top priority. After all, your purchase is important. We work diligently to make sure you have a great experience at our dealership. 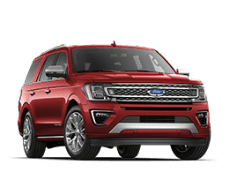 Whether you’ve been searching for a feisty Ford Fiesta, a fantastic Focus, an exciting Explorer or a fit F-150, we’re the only Ford dealership in the San Marcos and Carlsbad area you’ll ever need to visit. So, head to North County Ford for a new Ford at an exceptional price. Ford manufactures a complete line of vehicles, from fun-to-drive economy cars with outstanding fuel economy to tough and capable trucks. Here’s a summary of Ford’s current models. 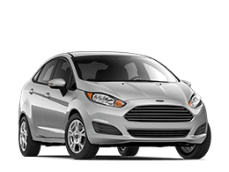 The Ford Fiesta is a fun-to-drive subcompact car with attractive styling. The affordable Fiesta is the ideal car for driving in North County on your daily commute. Buyers can get the Fiesta as a sedan or a hatchback. Both body styles seat five comfortably. The Fiesta’s nimble handling and precise steering prove that it isn’t just another dull economy car. The standard 1.6-liter four-cylinder engine delivers impressive fuel economy, with an EPA-estimated 27 mpg city/35 mpg highway with the manual transmission and 27 mpg city/37 mpg highway with the automatic. The Ford Focus is a fuel-efficient compact car that’s fun to drive. The Focus features the perfect combination of sporty handling and smart styling. Whether you’re running errands or commuting to Vista, you’ll love driving the Focus. 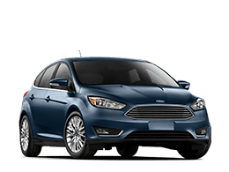 Sedan versions of the Focus SE trim get a turbocharged 1.0-liter three-cylinder engine that gets an amazing EPA-estimated fuel economy rating of 40 mpg highway. 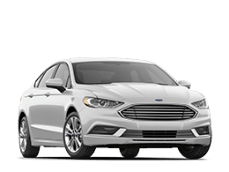 The Ford Fusion is a standout midsize sedan, thanks to its appealing cabin and long list of tech features, including Ford’s Co-Pilot360 advanced safety suite and the Sync system. Fuel economy is excellent. Carlsbad Ford drivers looking for the ultimate fuel efficiency can choose the Fusion Hybrid or the Fusion Energi plug-in hybrid. 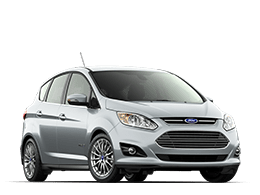 The Ford C-Max Hybrid is a compact gas-electric hybrid that’s as great-looking as it is green. From the outside, the C-Max may remind you of a crossover. Inside, you’ll find comfortable seating for five passengers. Owners like the sporty ride provided by the C-Max’s suspension. Driving around Encinitas, you’ll find the C-Max to be extremely maneuverable. The C-Max Energi is a plug-in hybrid variant capable of driving up to 19 miles solely on electric power. The Ford Mustang is a performance car that delivers both power and refinement. The Mustang is offered as a coupe or a convertible. Escondido Ford drivers will love the Mustang’s incredible handling, thanks to its selectable power-assisted steering and rear suspension. The optional MagneRide Damping System keeps the road feeling smooth at all times. The Mustang’s V8 blasts out an incredible 460 hp and 420 lb.-ft. of torque. 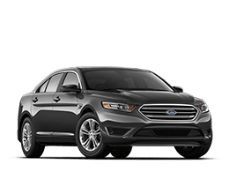 The Ford Taurus is perfect for families who prefer to drive a large sedan, rather than a big crossover. The Taurus is quiet and comfortable, with seating for five. There’s plenty of space in the trunk to cart around a full load of groceries, sporting equipment or just about anything you’ll need to take along. The ride is always smooth, even when driving around the streets of Fallbrook. EPA-estimated fuel economy is rated at 18 mpg city/27 mpg highway with front-wheel drive and 17 mpg city/24 mpg highway with all-wheel drive. 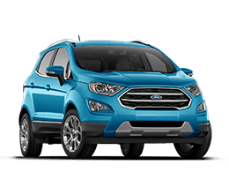 The Ford EcoSport is a subcompact crossover that hits the sweet spot with its blend of comfort, cargo space and tech goodies. It’s just the right size, allowing you to get in and out of tight spaces when driving around Pala Mesa. The EcoSport has two engines on offer. Buyers can choose between a 1.0-liter three-cylinder engine that generates 123 horsepower and 125 lb.-ft. of torque or a 2.0-liter four-cylinder that puts out 166 hp and 149 lb.-ft. 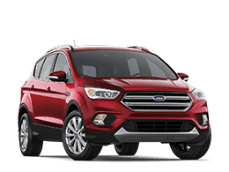 The Ford Escape is a compact SUV that’s popular with San Marcos drivers, who appreciate its versatility. There are four models to choose from, along with three engine choices. You can buy an Escape as a no-frills base S model, as an upscale Titanium model, and everything in-between. The Escape provides plenty of towing power, with a maximum capacity of 3,500 pounds. Fuel economy is excellent, with the 1.4-liter four-cylinder delivering 30 mpg highway. 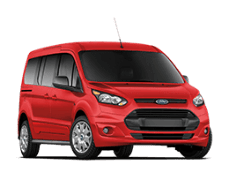 The Ford Transit Connect is a small minivan that’s smaller, more maneuverable, less expensive and more fuel-efficient than a full-size commercial van. The Transit Connect comes in two body styles: a Cargo Van that’s great for small businesses and a Wagon that’s perfect for ferrying passengers around cities like San Diego. The Transit Connect comes with dual sliding rear doors, and some models can choose between swing-out rear cargo doors and an overhead liftgate. The Ford Edge is a midsize crossover that seats five. The Edge delivers plenty of power and can tow up to 3,500 pounds. 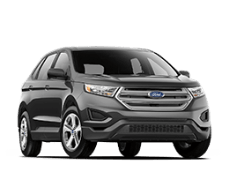 Temecula drivers like the fact the Ford Edge provides a carlike ride and handling, making it easy to park and to maneuver through narrow streets. There’s a great deal of cargo space: 39.2 cubic feet with the seats up and 73.4 cubic feet with the rear seats folded down. The Ford Edge is a midsize crossover that seats five. The Edge delivers plenty of power and can tow up to 3,500 pounds. Bonsall drivers like the fact the Ford Edge provides a carlike ride and handling, making it easy to park and to maneuver through narrow streets. There’s a great deal of cargo space: 39.2 cubic feet with the seats up and 73.4 cubic feet with the rear seats folded down. The Ford Explorer is a seven-passenger SUV. The Exploter continues its reign as the best-selling SUV in the United States, a title it has held for about 30 years. The Explorer’s sophisticated design means drivers in Vista can transport a horde of kids around in style. There are three engines to choose from, with the base 3.5-liter V6 developing an impressive 290 horsepower and 255 lb.-ft. of torque. 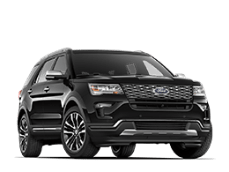 The Ford Expedition is a full-size SUV that gets high marks from Temecula drivers for its serious amount of interior room, smooth ride and ample space for cargo. 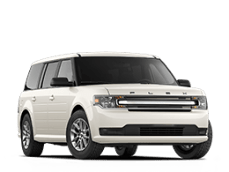 Plus, the Expedition gets the kind of fuel economy you’d expect from a much smaller SUV, thanks to Ford’s extensive use of aluminum, similar to the Ford F-150. The Expedition’s 3.5-liter twin-turbocharged V6 engine delivers up to 24 mpg highway. The Ford F-150 is a full-size pickup that can be customized for every use imaginable. 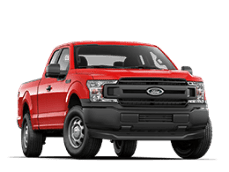 The F-150’s multiple cab configurations, bed sizes, trim levels and engine choices allow buyers to get the F-150 configured as a capable work truck, a tough off-road vehicle and a luxurious ride for driving around San Diego. Those who need maximum towing capability should note the Ford F-150 has best-in-class towing capacity of 13,200 pounds. Ford’s Super Duty line of pickups include the F-250, F-350 and F-450. 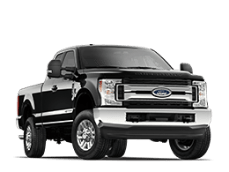 Buyers looking for a heavy-duty truck for commercial use or Encinitas drivers seeking a pickup with extreme power will appreciate the Super Duty lineup. Super Duty trucks come with cutting-edge tech features, automated emergency braking and towing-assist technology that makes pulling a load easier. The top-line F-450 is powered by a 6.7-liter turbodiesel V8 that pumps out an amazing 400 horses and 800 lb.-ft. of twist. 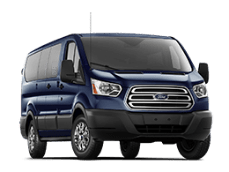 The Ford Transit is available in two versions: a cargo van designed for work and a passenger wagon that’s ideal for use as a shuttle to carry Oceanside passengers. Both variants are available in several configurations. Wagons can seat up to 15 passengers, while cargo vans provide plentiful cargo space. The Transit gets a standard turbocharged V6. There are two other optional powerplants: a five-cylinder diesel and a 3.7-liter V6 that can be equipped to run on compressed natural gas. When you buy a used car, you want to purchase it from a dealer you can trust. At North County Ford, we sell quality pre-owned and certified pre-owned Ford vehicles, with the lowest prices in the Vista area. If you’re looking for a used car, truck, crossover, SUV or minivan from another manufacturer, we have you covered, with vehicles from Chevrolet, Toyota, Nissan, Volkswagen and more! Take a look at our large inventory of used vehicles at our dealership, or visit our website. 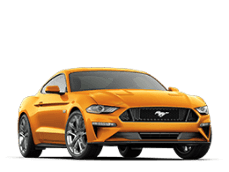 Why Buy from North County Ford in the Carlsbad Area? When your Ford needs routine maintenance or repair work, the factory-trained service technicians at North County Ford make it easy. We use the latest tools and technology to diagnose and repair your vehicle — and we fix it right the first time. We work hard to make sure you’re back in your car in no time. You can even schedule your next service appointment right from our website. Most people don’t give too much thought to auto financing, but it’s an important component of your purchase. After all, choosing the best financing can save you money. The experienced North County Ford finance team will make sure you get the very best loan, one that fits your needs and your budget. Have a few credit problems? No problem! We work with a number of lenders to make sure we can help you, no matter what your situation. You can even save time and apply for financing right from our website. It couldn’t be easier! Whatever you need, we’re here for you. Stop by our Vista Ford Dealership or call us today! Richard and Matt were outstanding. We are thrilled with our new Expedition and the deal we got. They were professional, honest, knowledgeable, and thoroughly enjoyable to work with. Class act! Was helped within 4 minutes of my appointment time. Found out that my first oil change was "free"! Went ahead and upgraded to "full" synthetic at a modest charge (under $29). Vehicle was finished 20 minutes sooner than promised. It doesn't get any better than that!!! He's the best helper! He always makes me feel safe driving and is very kind. I've never got as much attention from anyone , he remembers my name and has a smile on his face everytime. A very educated man thank you Ryan for your help! Great service! Richard did a great job in serving my needs - offered to pick me up at home and take me to the dealership which was very helpful.